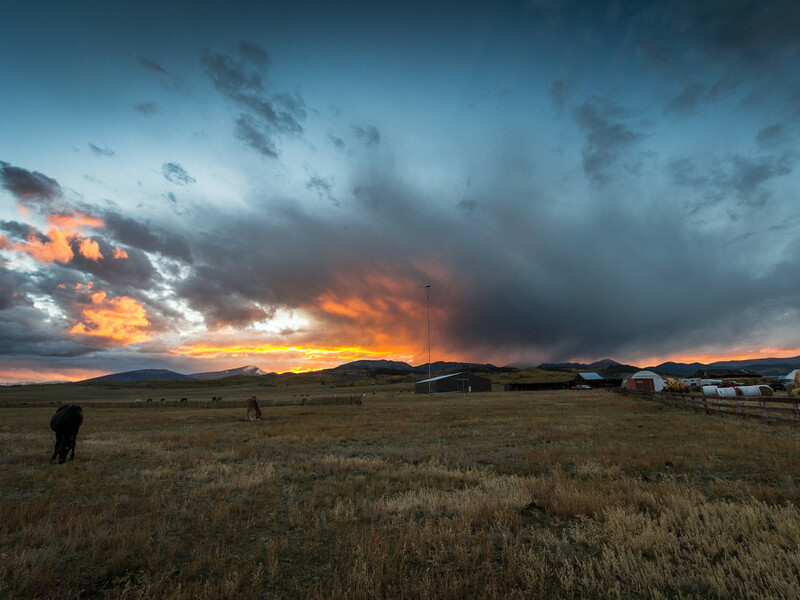 To many, Denver is the true gateway to the West. Sure, St. Louis may have an arch, but it also has 850-miles of Midwestern plains to contend with before the real West begins. And like so many early frontiersmen, who reached the western edge of the High Plains—where modern-day Denver is located—and gazed upon the Front Range in both terror and excitement, the Mile High City still, to this day, acts as the ultimate springboard for Colorado adventure. Here, we bring you a comprehensive guide to one of the best Colorado adventures you can have: a week-long road trip through the state. Combine the glory of the open road with the solace of the mountains on this 7-day journey from Denver over some of the nation’s most scenic highways. Do as the locals do and head south out of Denver to avoid the I-70 traffic. Take scenic route 285 towards the mountains, to the riverside town of Buena Vista, right in the heart of the Collegiate Peaks. If you’re itching to stretch your legs early on, the Colorado Trail intersects with Kenosha Pass about 45 miles outside of the city, and it's a section that is a particular favorite for hikers and mountain bikers alike, so pick your poison! For a more leisurely stroll with a bit of interesting history, stop in South Park City to reimagine the life of those old frontiersman in the re-created mining town, made from buildings salvaged from the 1800's. Tours lead you through to see old furnishings and equipment from the gold-mining boom. If cool rivers are what’s calling to you, American Adventures in Buena Vista can take you through one of the state’s premier stretches of whitewater, Browns Canyon. With breathtaking scenery and a solid mix of calm water and exhilarating rapids, it’s easy to understand why this is a favorite run for whitewater enthusiasts. For more thrills, the Numbers Route will test anyone's mettle, but whichever you choose, owners Mike and Amber will take great care of you. To replenish yourselves, treat your crew to Eddyline Brewery in Downtown Buena Vista. Delicious craft beers combine wonderfully with their elegant menu; and high quality burgers and beer are a good follow up to any adventure, after all. The brewpub is close to the river, which has a nice walking trail running alongside it. South of town is Angel of Shavano Campground, a first-come first-serve site with 20 spots among aspen and spruce trees. Nestled in the San Isabel National Forest, this is a gorgeous place to rest your head and wake up to in the morning. On day two, you’re headed to Crested Butte with a stop at one of the nation’s top mountain biking trails, Monarch Crest. 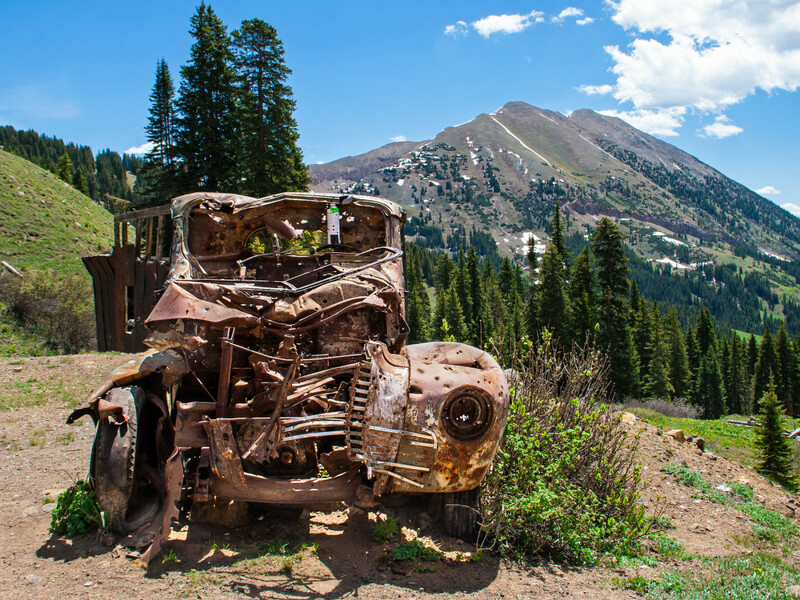 Take route 50 west, about 19 miles outside Poncha Springs to Monarch Pass, where you’ll find the trailhead. There are shuttle services that go between the trailhead and Poncha Springs, or if you’re lucky enough to be in a road trip convoy, just leave one car at the intersection of highways 50 and 285. 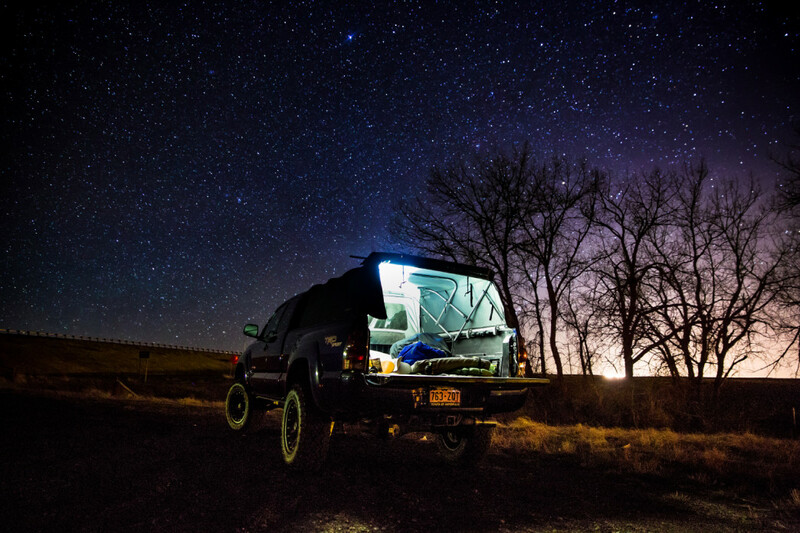 The trail is 35.5 miles, averages about four and a half hours and will be a ride you’ll likely never forget. 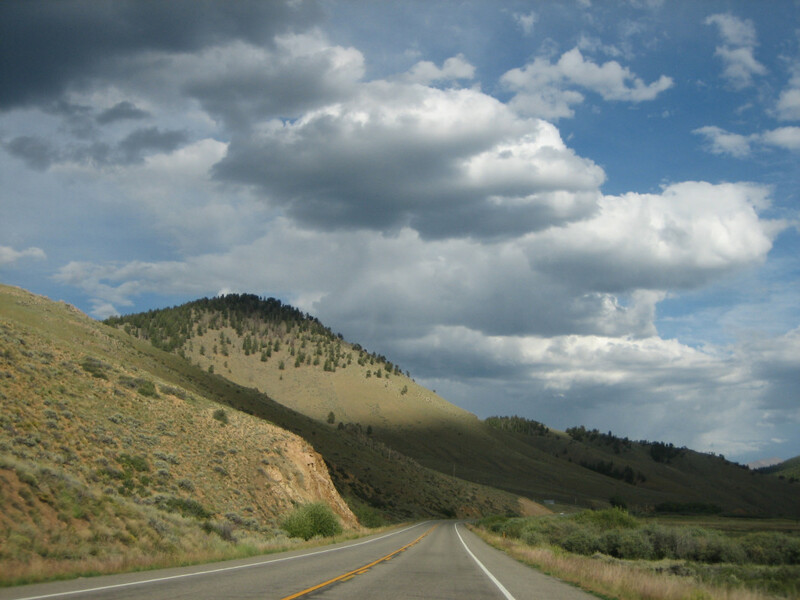 Continue on 50 to CO-193, which will take you right into Crested Butte. Enjoy scenic views of the Sawatch Range along the way, or save your appetite for mountains until you get to town, where you can access world class climbing at Skyland Boulders. Since you will be exhausted, it’s a great thing that downtown Crested Butte is a slow-paced place to take a walk and find a bite to eat, and you can’t go wrong at Brick Oven Pizzeria and Pub. As the sun begins to drop, make your way over to Lake Irwin Campground, nestled between Lake Irwin itself and the unreal Ruby Mountain Range. When you wake up, it would be a shame not to fuel up at the Sunflower Deli back in town! Day three is one of the longer treks in the trip, but what's a good road trip without a long-haul or two? You’re taking 50 west from Crested Butte to Fruita. About 90 miles into the drive you’ll reach its main attraction, Black Canyon in Gunnison National Park. Try to hit the road early, as the views in the canyon can consume two to three hours of the day. Once in the canyon, you have several options for exploring it. First is South Rim Road, a seven mile stretch featuring 12 scenic overlooks. Some take a short hike to get to the rim, which will be a great way to stretch your legs. The best views are Gunnison Point, Chasm View, Painted Wall, and Sunset View. There is a visitor’s center at Gunnison Point which opens every day in the summer and most days the rest of the year. If you're feeling super ambitious, you can hike down into the canyon, but be aware that the hike back up is very demanding. North Rim Road is closed in winter, but if you’re there in the summer, the vertical walls found on this gravel road provide some of the most awe-inspiring views in the park with six distinct overlooks. If you need a bit more activity this day, the Kokopelli Mountain Bike Trail features red-rocks and river views that will take your breath away. Before bunking down for the night, fill your belly at the Hot Tomato Cafe, a local favorite! Today is your day to experience, first-hand, the biodiversity of the gorgeous state of Colorado. Twenty-five miles into day four, you reach the town of Palisade. How can a state that makes your nose so dry create fruit so big and juicy? The microclimate in Palisade is how. This section of the state, known as the Grand Valley, sits atop artesian wells and combines dry air, sunny days, and cool nights to provide an ideal home for two-thirds of the state’s award-winning wineries and the famous Palisade Peaches. Flying in the face of the well-known craft beer culture and cattle farms, this vineyard-rich part of the state lets you know just how unique Colorado is. Colterris Wines and the Clark Family Fruit Stand are two of our favorites. About half-way to Yampa, enjoy the drive through 12.5 mile Glenwood Canyon. This historic railroad route boasts walls 1,300 ft high, the highest along that stretch of the Upper Colorado River. Shortly after, you’ll head north on CO-131 for the final push into Yampa. 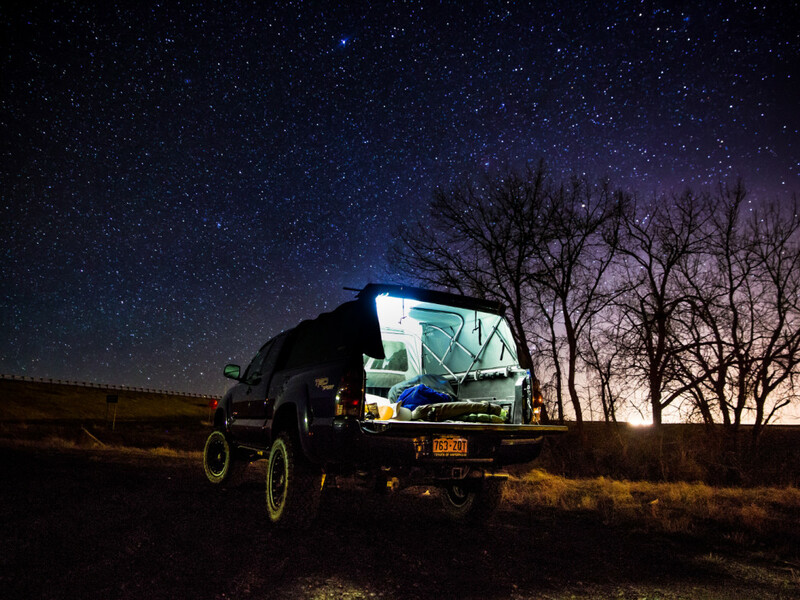 When heading into town, you’re about 15 miles from your campsite and one of the more dynamic trails in the state. But fair warning: only attempt the entire Devil’s Causeway if the wine has worn off! If it hasn’t, or if the conditions aren’t perfect, you can still hike the area and enjoy breathtaking views, but should probably avoid the highly dangerous Devil’s Causeway. To get there, take County Road 7 S for 6 miles, and continue on another 9 miles as it turns to Forest Service Road 900, which will take you to the north side of Stillwater Reservoir. Regardless of conditions, you can hike 2 to 3 miles into the Flat Tops Wilderness area to experience large table-top mountains that contrast the rocky pyramids in the rest of the state. A moderate elevation gain will bring you through wild-flower meadows and past a lake before you have to decide on conquering the causeway or not. A comprehensive trail guide is provided in the link above! A few miles from the same trailhead is Bear Lake Campground, the $10 fee is well worth it! After your intense day four, take a nice easy 40 minute drive into one of Colorado’s premier mountain towns, Steamboat Springs. The nearby Yampa River provides the opportunity to float one of Colorado's gorgeous mountain rivers, while experiencing Steamboat in a unique way. This family-friendly float can be anywhere from one to three hours, depending on river conditions, where you put-in, and if you choose to stop at a park or restaurant along the way! Whatever type of float you’re in the mood for, the folks at Bucking Rainbow can get you set up. Take a break to fuel up with a homemade pretzel, served with porter cream sauce, at Mahogany Ridge Brewery and Grill. To warm up, finish off your rocky mountain water day with a dip in Strawberry Hot Springs. 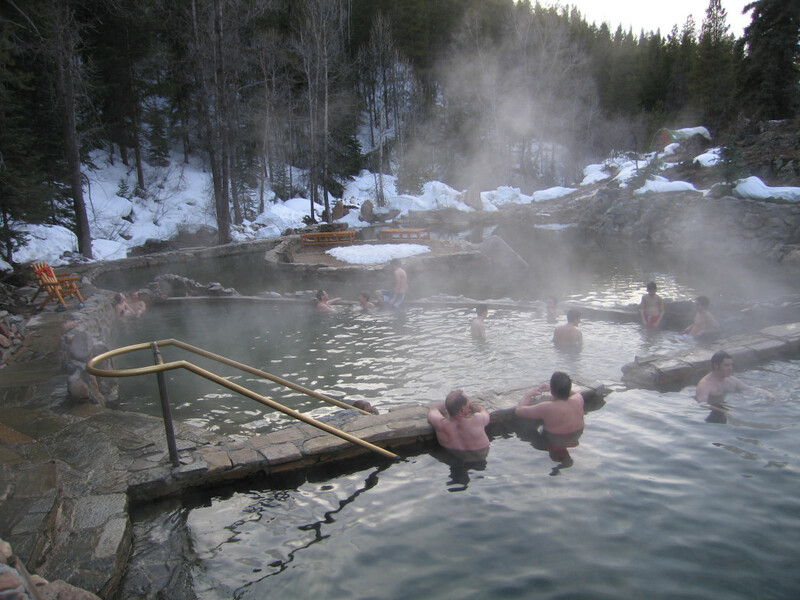 These naturally fed hot springs are favorites of the locals for their natural feel and beauty. Numerous small to mid-size pools are shaped right into the rock and have an ice-cold stream flowing through, in case you want to counter your hot soak with a cold plunge. You’re sure to find a spot perfect for you at Strawberry Hot Springs. If there’s no room for you to stay at the hot springs, get a head start on day six by heading down US-40 E to Meadows Campground in the heart of Routt National Forest. 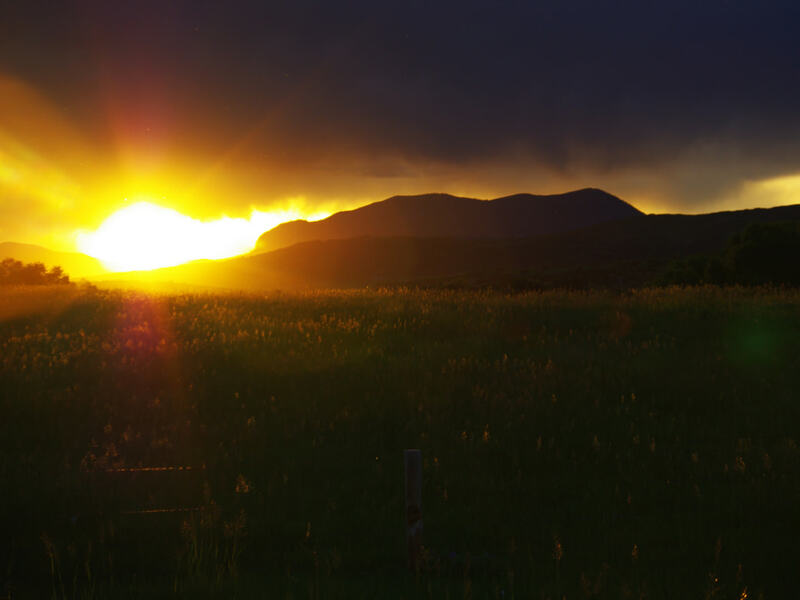 A serene night's sleep is a given, as it's nestled in the evergreens of Rabbit Ears Pass. Just when you thought Colorado could not be more strikingly beautiful, you drive the stretch of 34 called Trail Ridge Road. 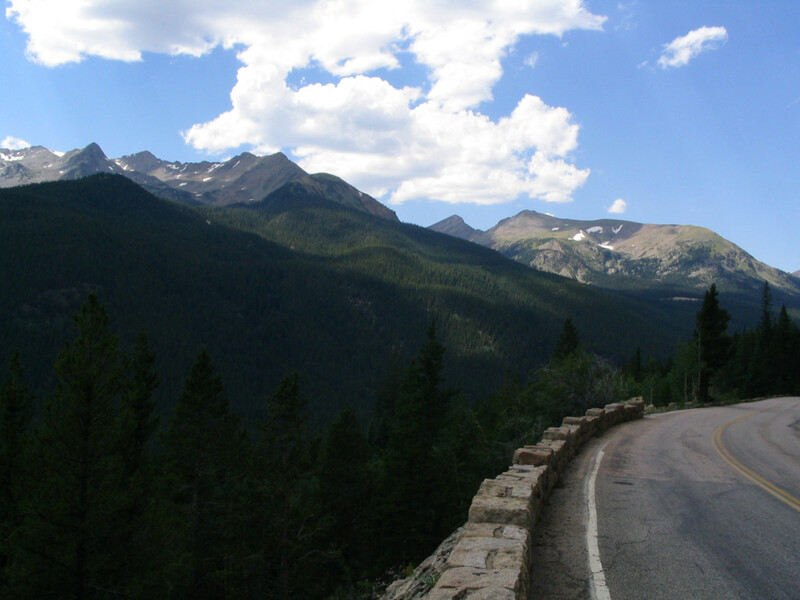 This road is named for its proximity to the trails that Native Americans used to cross the Rockies, and it is the highest continuously paved road in the US, reaching an altitude of 12,183 feet. If the expansive rocky mountain views don’t get you, a siting of Elk or Big Horned Sheep surely will, as the animals are regularly seen from the road. You will be ready to get out of the car by the time you reach town, and luckily you’ll be close to a quintessential Colorado hike for aspen trees, panoramic views, and an alpine lake. Once in town, take MacGregor Avenue north 1.2 miles to the trailhead of Gem Lake, which will be on your left after briefly becoming Devils Gulch Road. The post-hike experience in this town is not complete without a margarita from Ed’s Cantina, and for your last night on the road, we recommend a real bed in town because it would be hard to beat Estes Park, if anyone ever tried! Don’t feed the elk, even though you will probably get quite close to one. Get motivated for the bittersweet ending to your road trip with some locally roasted, fair trade coffee at Kind Coffee in downtown Estes; the floors are even made from bamboo, a renewable resource! Boulder is your halfway point between Estes and Denver, and is a great place to polish off your trip. The Flatirons in Chautauqua Park are some of the more unique rock formations in Colorado, because they literally look like they are laying on their side. 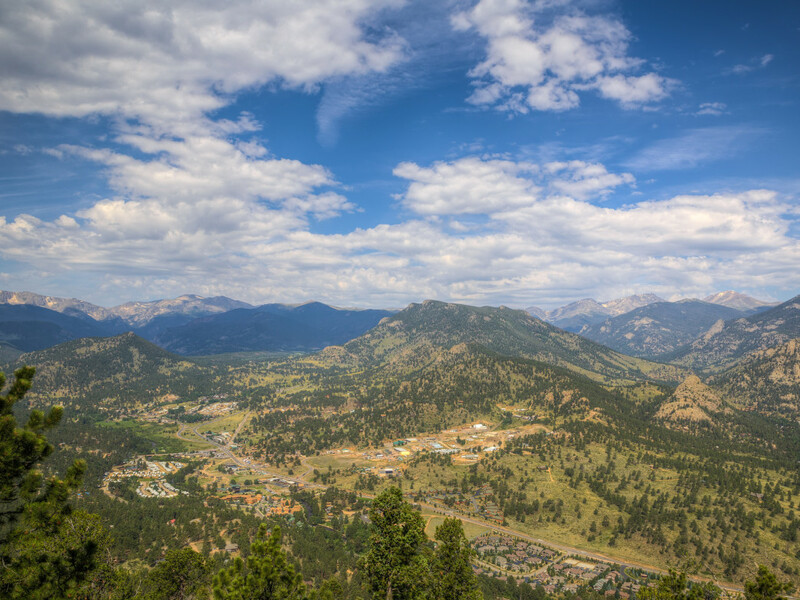 Flatiron One is the perfect hike to experience the best of what Boulder hiking has to offer; it is steep which provides a bit of a workout, while also paying out priceless views of the Boulder Valley, Indian Peaks Wilderness, and Rocky Mountain National Park. Start the 2.9 mile loop at the Chatauqua Park Trailhead parking on Baseline Road if the lot is full, which it is prone to be early on weekends! To re-fuel, it is hard to beat a burger at The Sink, a long-time Boulder favorite dating back to the time when Robert Redford was the janitor scrubbing the floors! Have a grass-fed Sink Burger with signature Sink Hickory Sauce to taste local history. The Sink is located on The Hill, a favorite neighborhood of CU-Boulder students. Homeward bound after Boulder, soak in the memories of a great road trip and bask in your new-found knowledge of this great state and all its beauty!